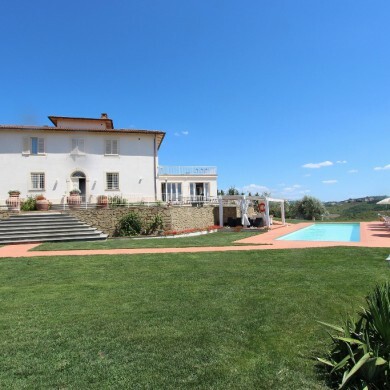 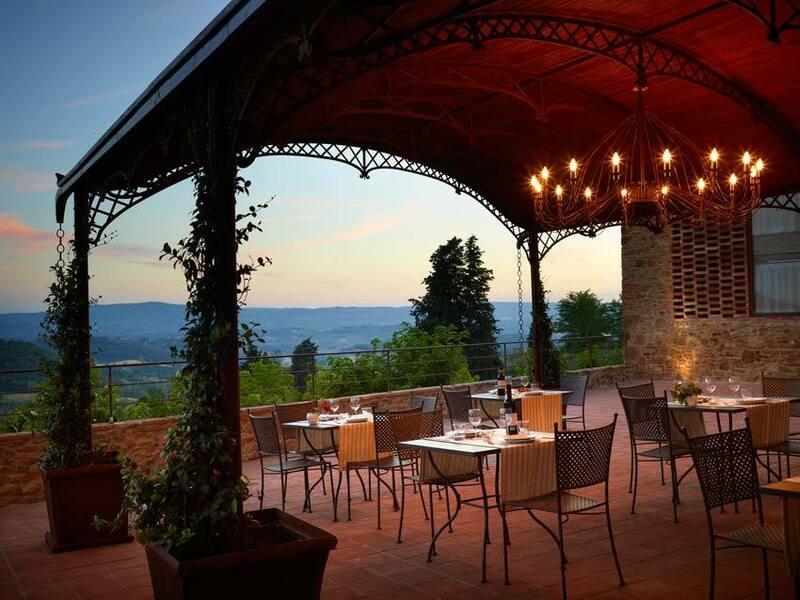 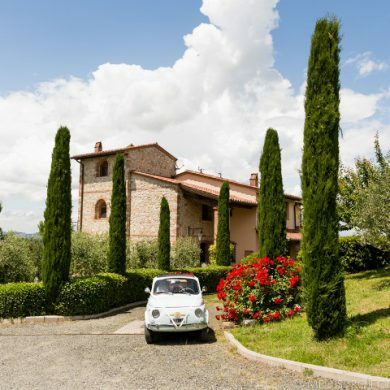 Located on top of a hill Borgo Barberino gives its visitors amazing views of a typical Tuscan countryside. 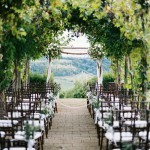 The venue has been built over the ground where the ancient town of Semifonte was. 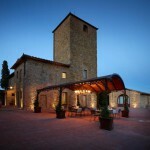 The ancient tower that is left has been elegantly restored. 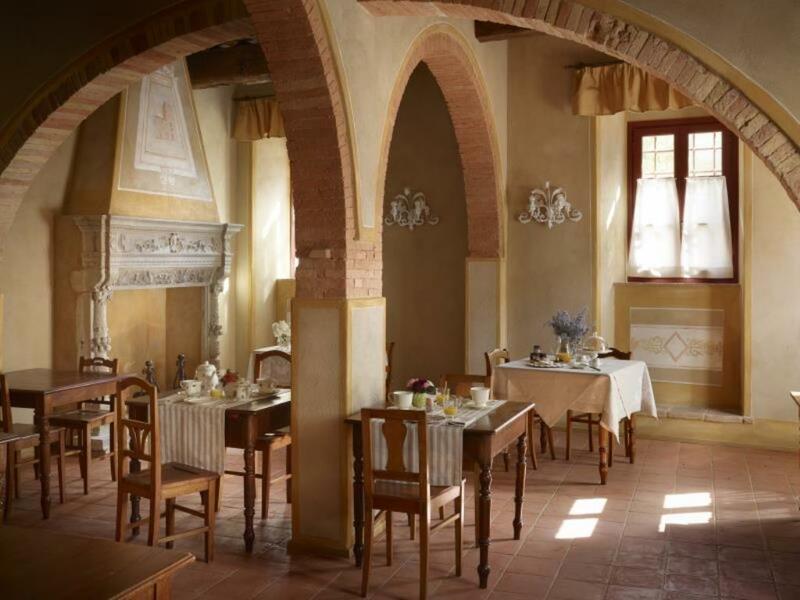 The mains typical tuscan stonebrick buildings comprises 14 luxurious suites all tastefully furnished with typical tuscan countryside features such as terracotta floors and beamed ceilings. 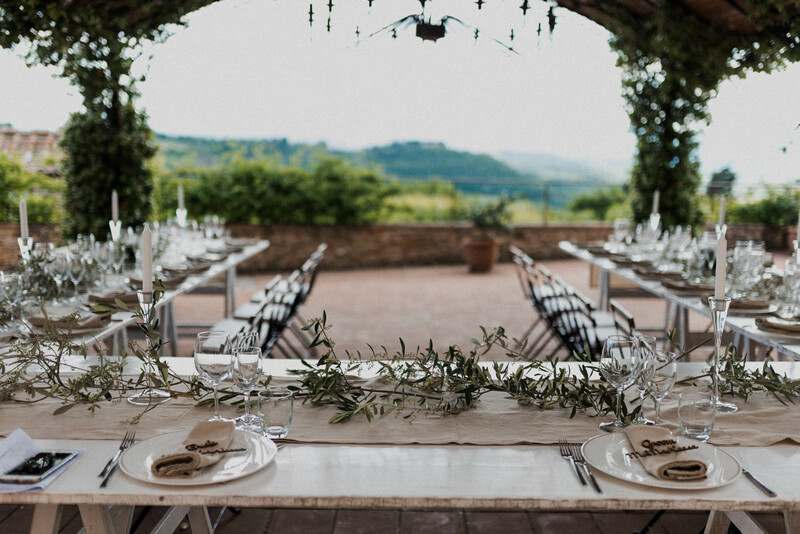 The sense of intimacy and peace which preveils at Borgo Barberino makes it a romantic venue for your Tuscan wedding and a perfect retreat for you and your guests. 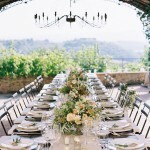 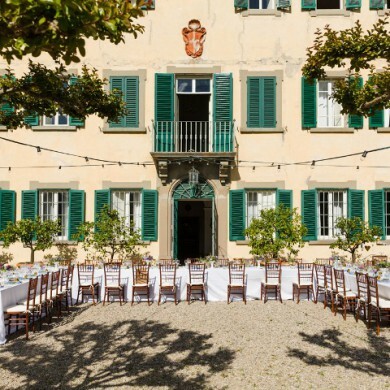 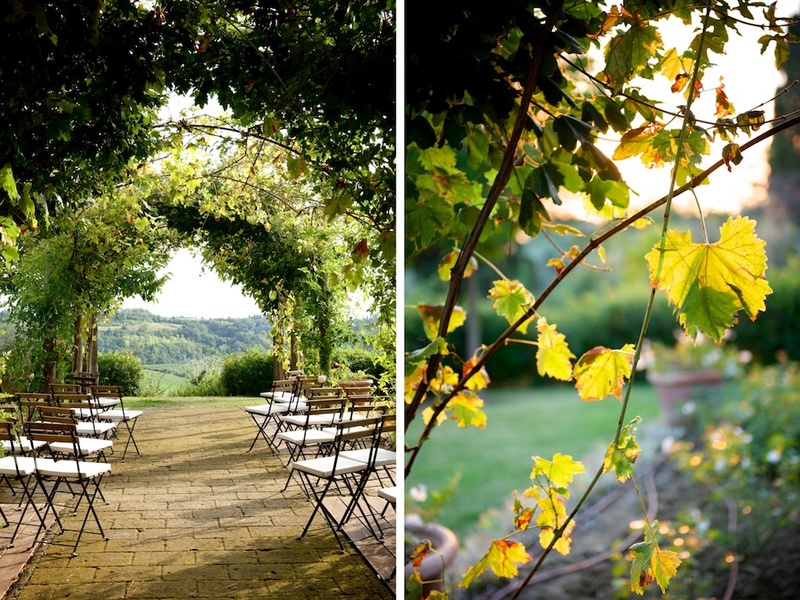 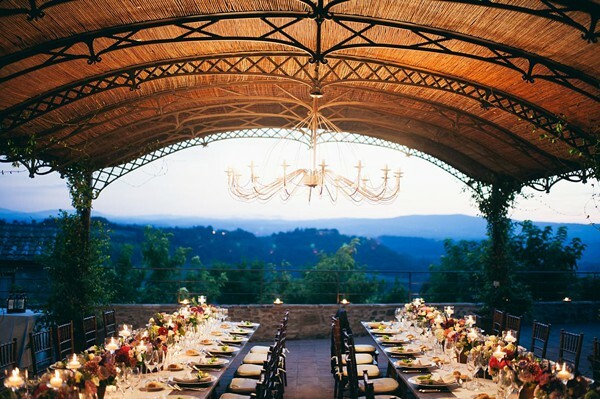 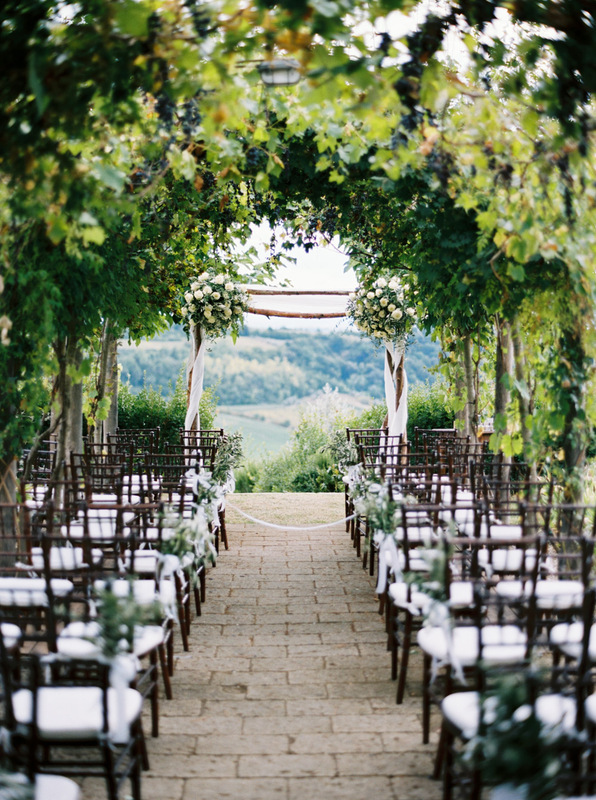 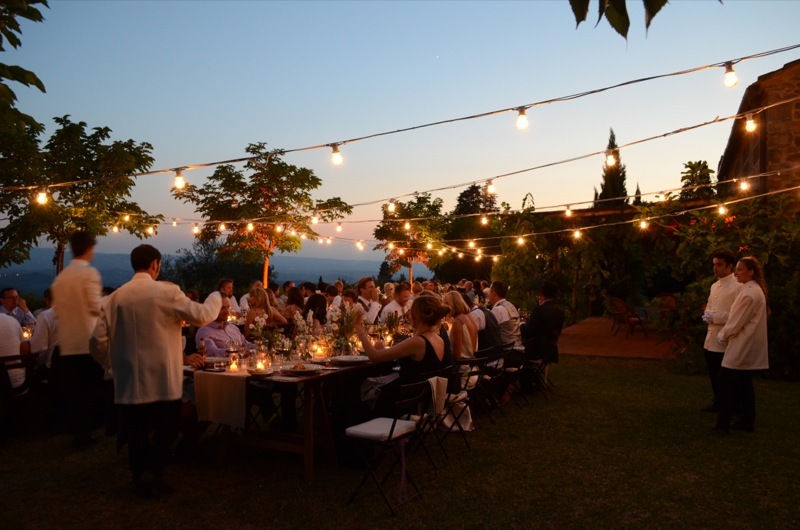 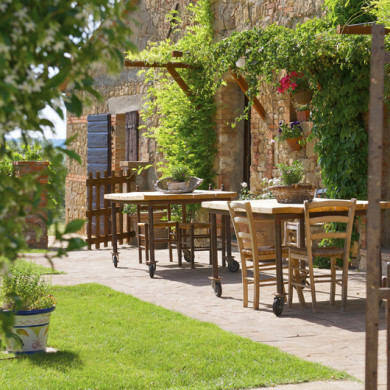 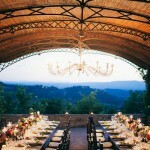 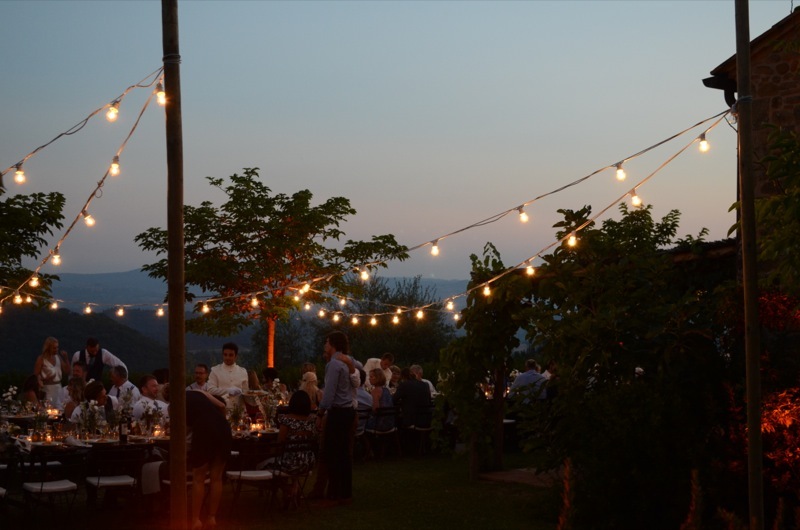 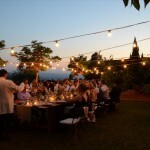 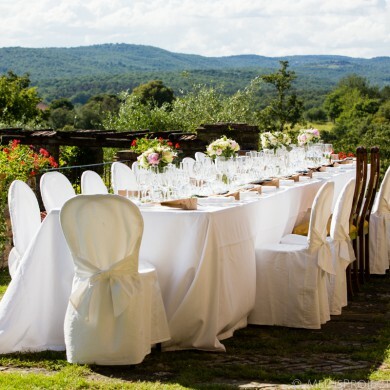 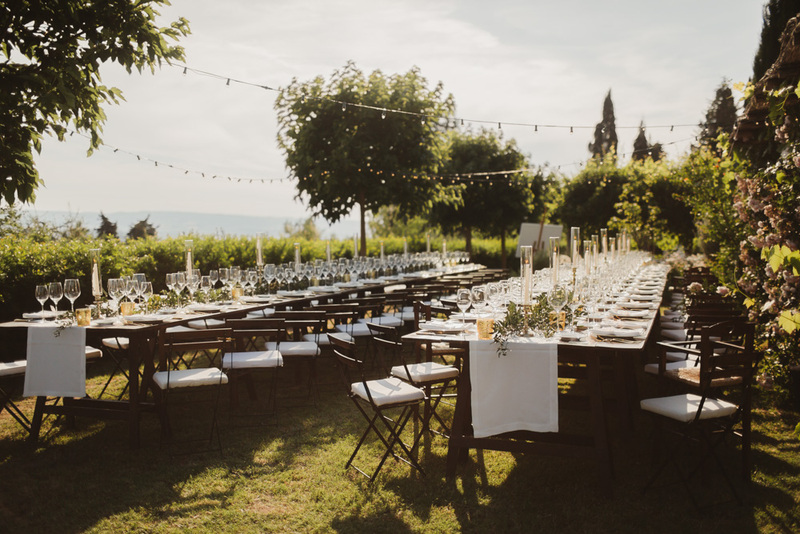 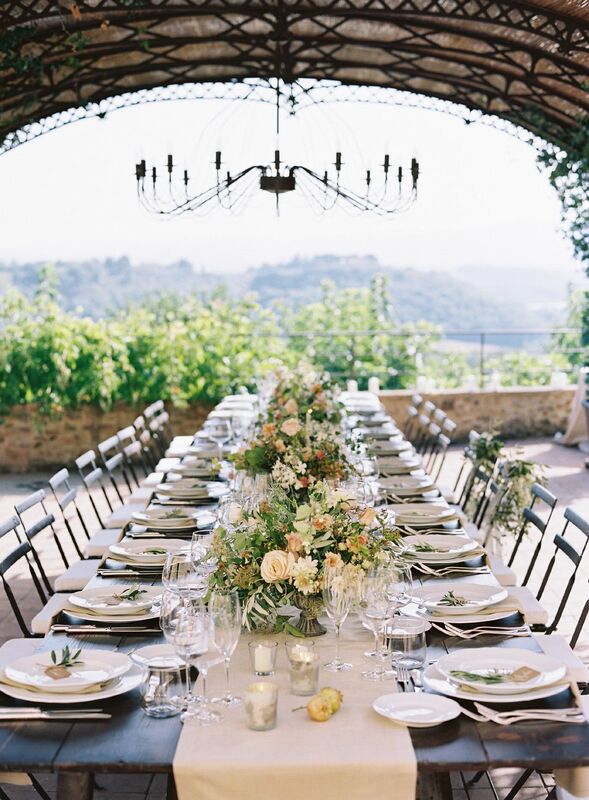 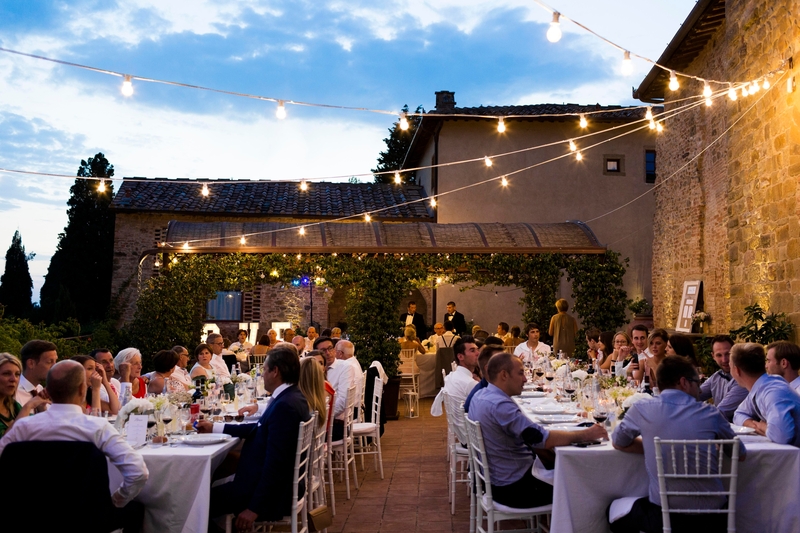 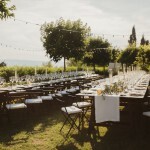 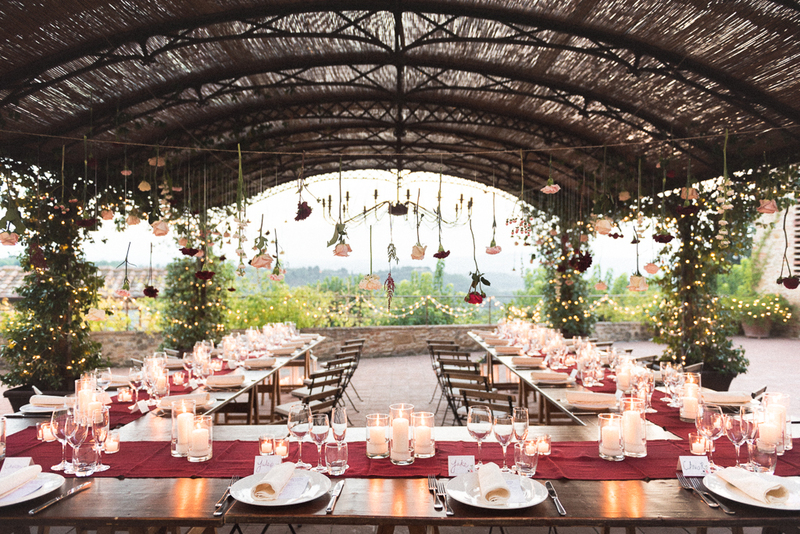 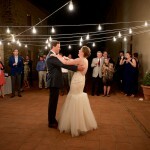 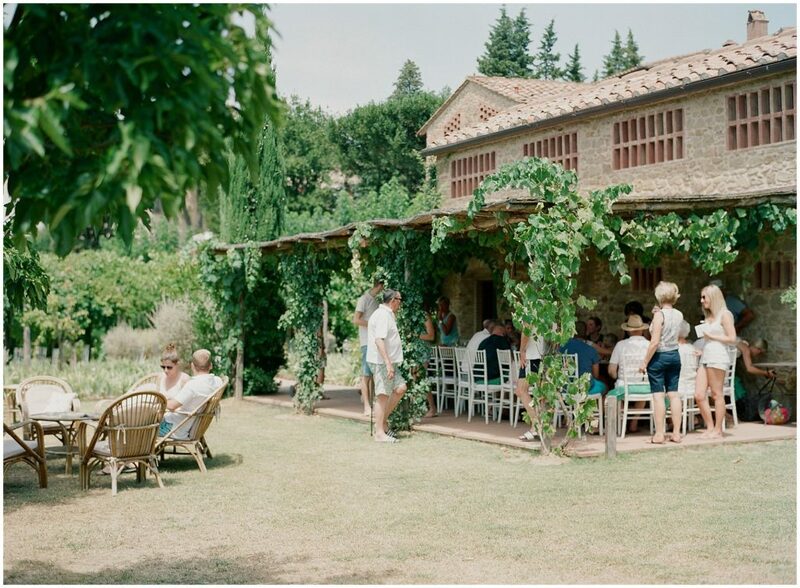 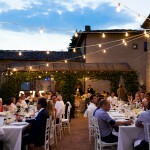 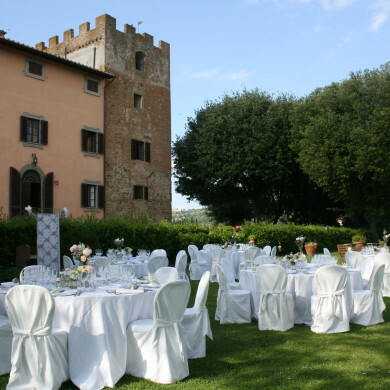 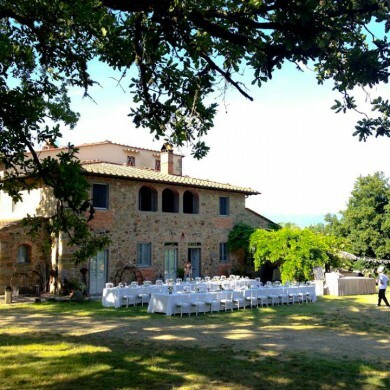 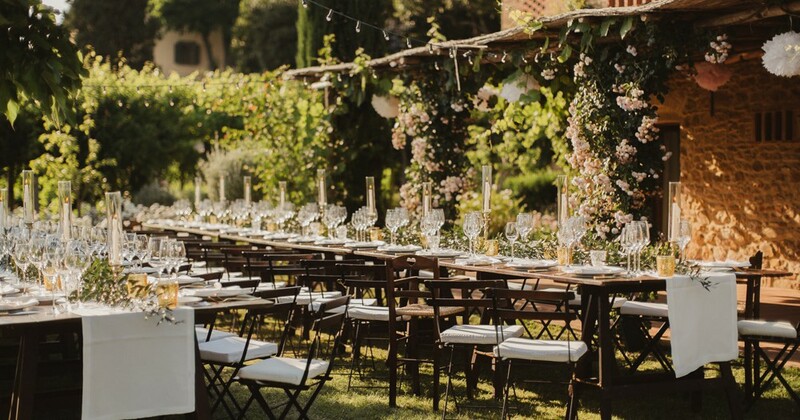 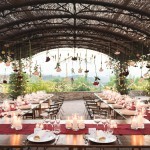 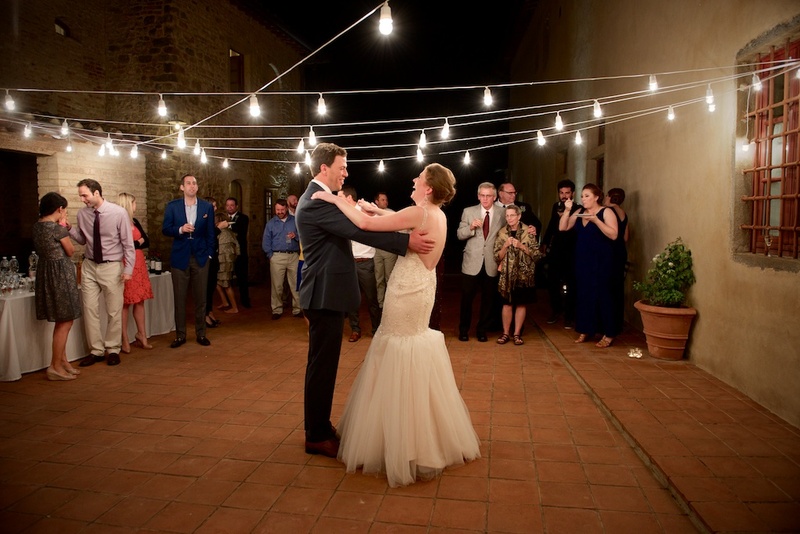 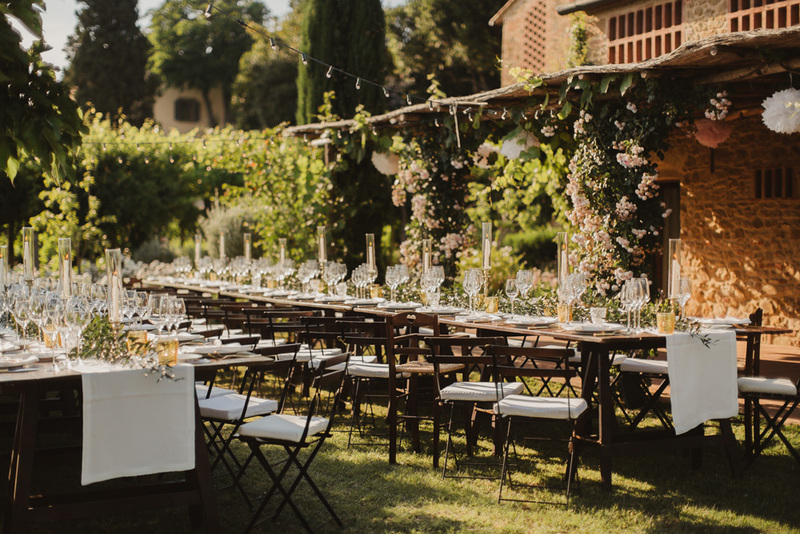 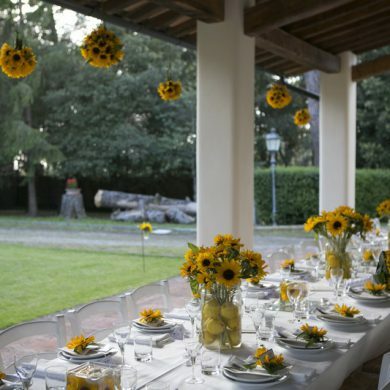 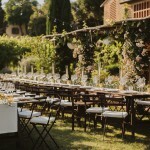 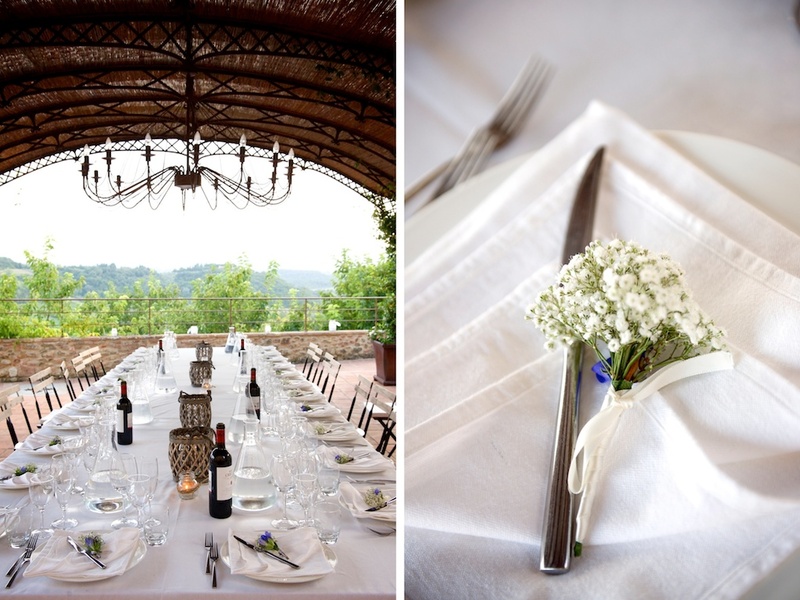 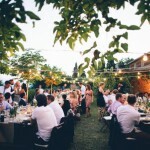 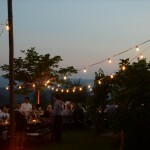 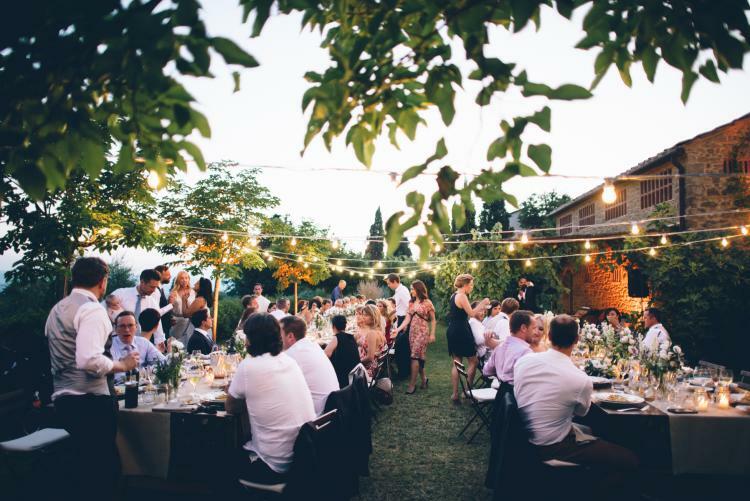 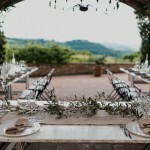 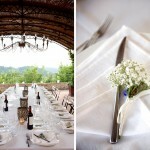 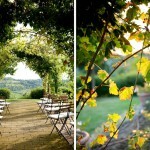 Borgo Barberino is ideal for small to medium size wedding ( up to about 50 guests ). 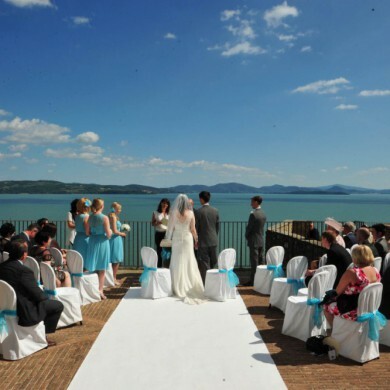 Reception can be held on the terrace with a fixed wrought iron marquee. 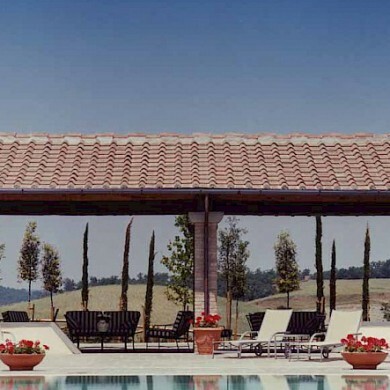 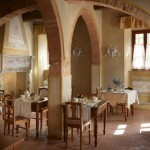 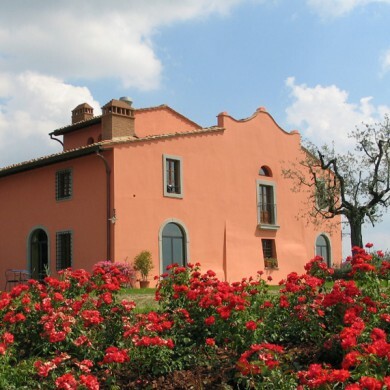 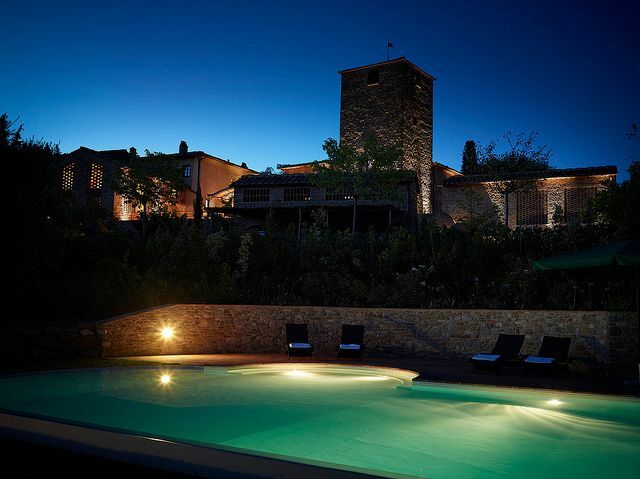 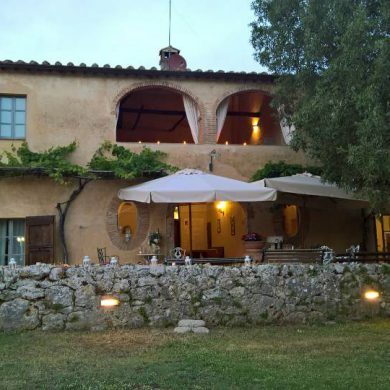 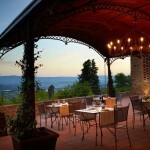 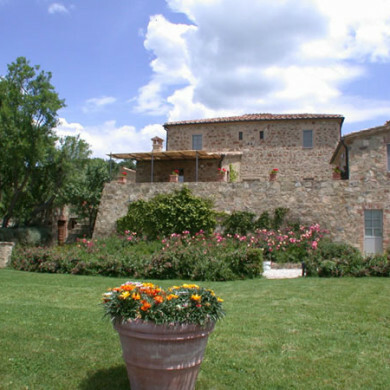 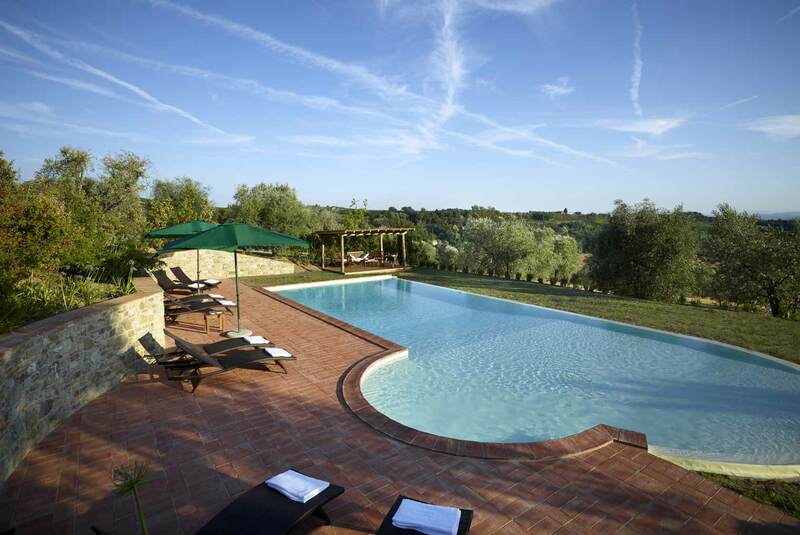 Borgo Barberino can accommodated 33 people in luxurious accommodations. 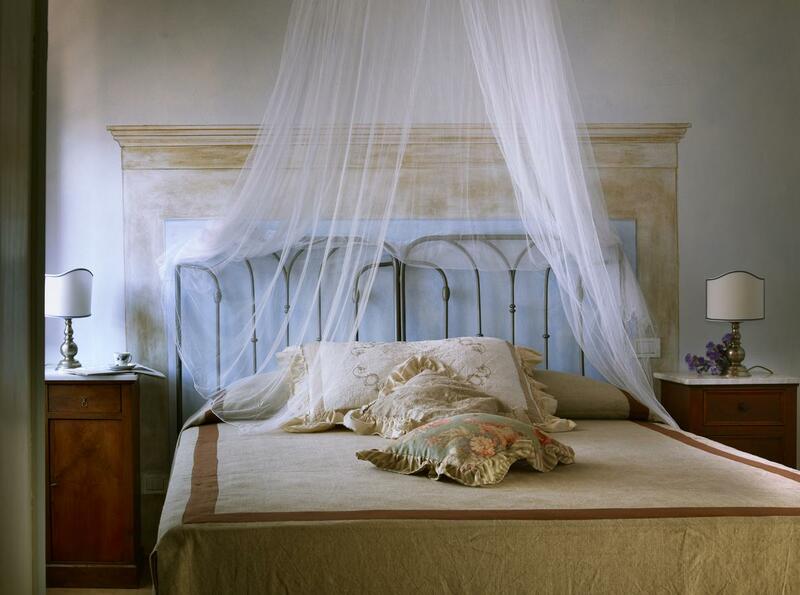 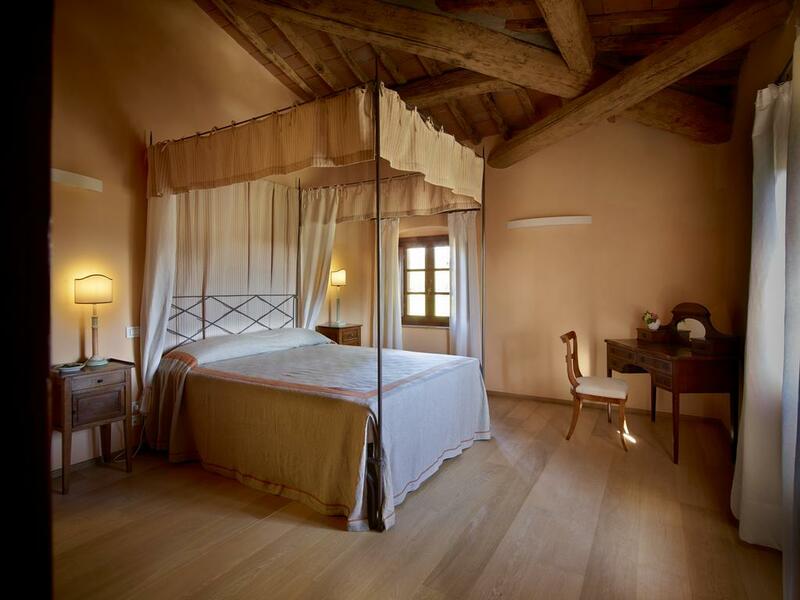 The style of all rooms is of a typical Tuscan countryside combined with modern comforts. 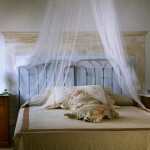 Wi Fi available on site. 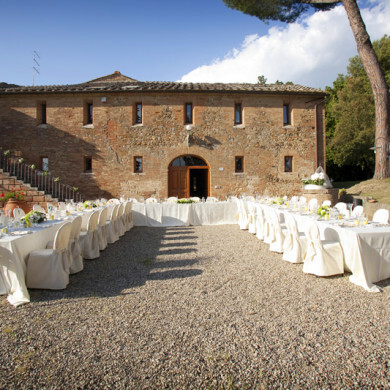 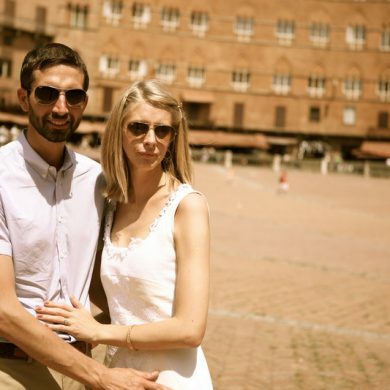 Civil ceremony can be celabrated at Certaldo or Barberino Town Hall. 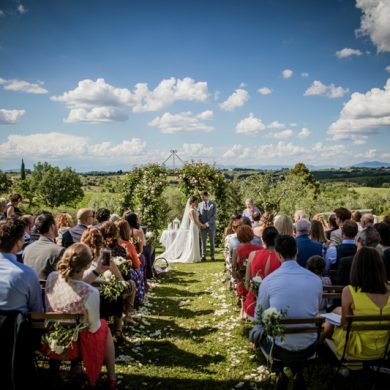 Symbolic wedding can be perfomed in the beatiful well kept garden. 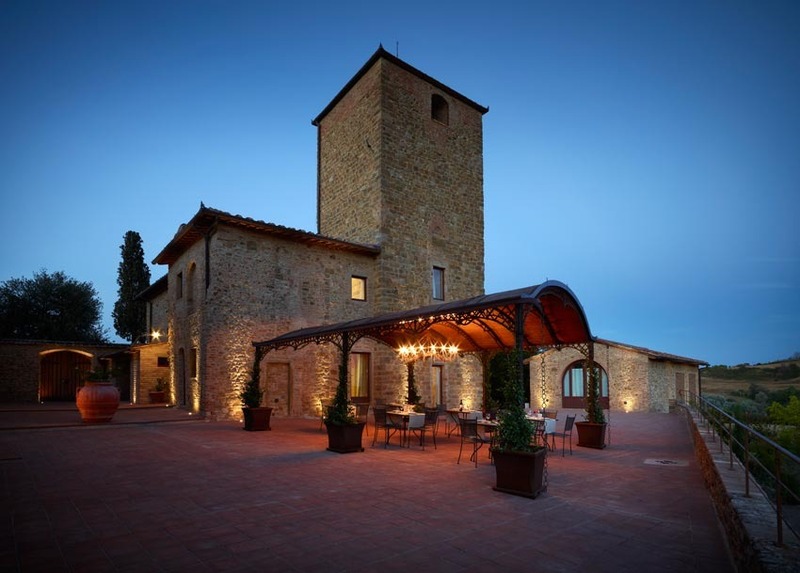 Borgo Barberino is situated 5 mins from the town of Barberino Val d’Elsa , 20 mins from Certaldo, 45 mins from Siena and 60 mins from Florence.